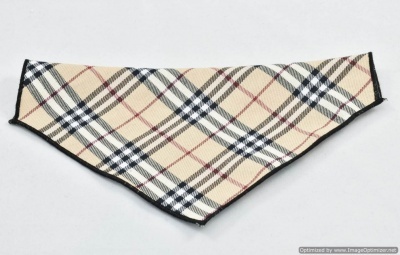 Treat your dog or cat to a unique stylish British tan plaid double-sided Bandana. 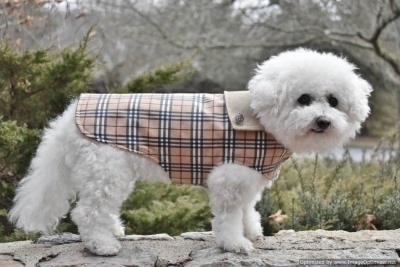 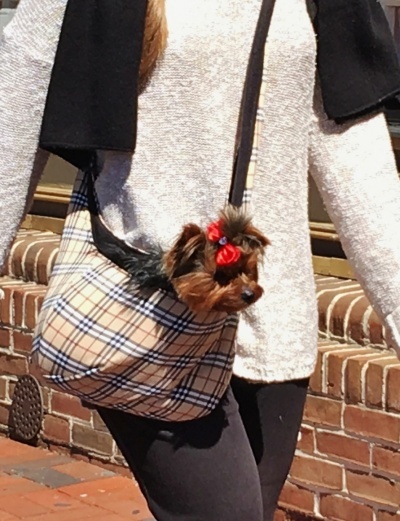 This trendy designer tan plaid puppy dog sling exudes total class and sophistication for you as well as for your puppy, kitten or small pet dog. 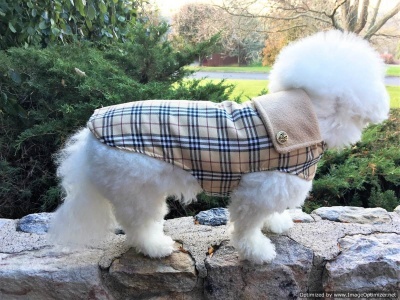 The traditional plaid colors are tan, black, burgundy and white. 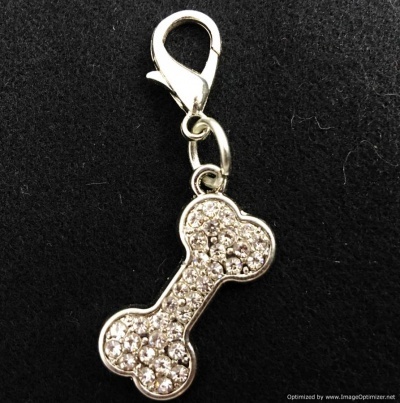 You'll never find this one-of-kind item in a pet shop. 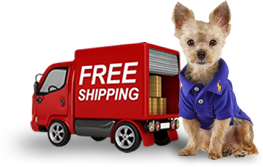 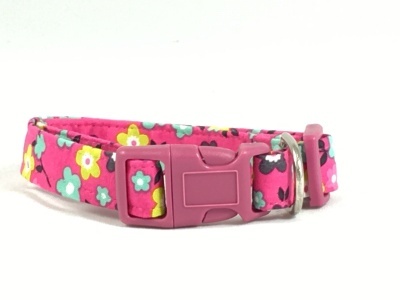 Classic and distinguished Dog Shirt Collar for your dog or cat! 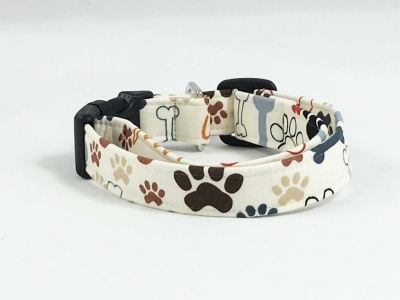 Sewn with skill, using crisp white cotton and cotton blend fabrics, the collar is fully lined for stiffness, and has a Velcro closures at the back of the neck.. 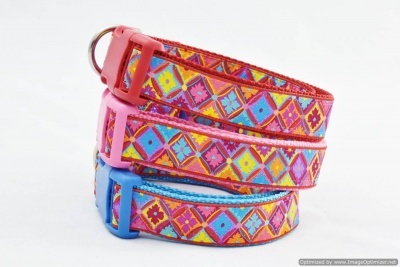 The collar is perfect for everyday use, special occasions and don't forget the holidays! 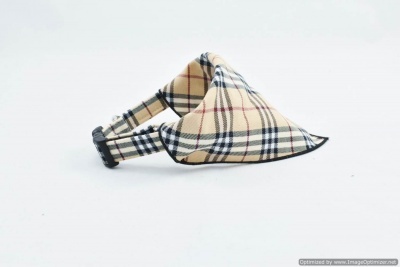 Planning a wedding or attending one? 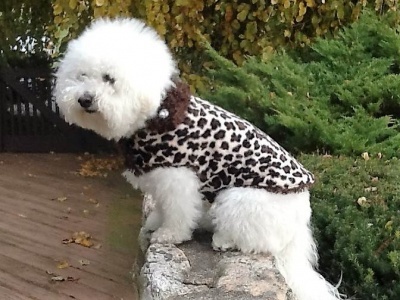 Dress your dog or cat to match the occasion! 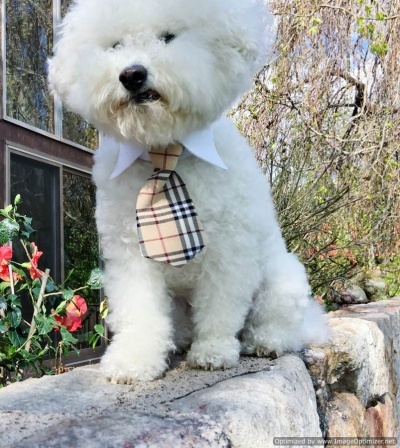 Take your little man to the office in his straight point collar and designer tie. 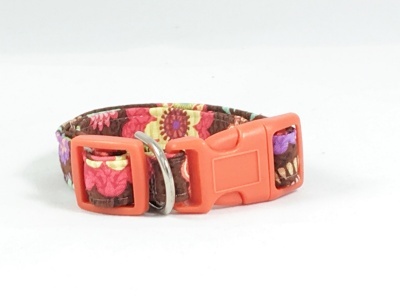 Chic premium Cocao Flower collar with orange hardware.